When Kevin and I were first married, we would take evening walks and bike rides constantly. Especially once Dane was born, we would take him in the stroller as a way for all of us to wind down and talk as a family. No technology just the sun lowering down, the sound of nature, and our voices. It felt great to end my day with this type of fitness and bonding. About a year after Dane was born, we just kind of quit. The weather here in Michigan started to get too cold and our evening bike rides seemed to get later and later because of work and the busy lifestyle we were starting to lead having children. Now that things have slowed down a bit, the boys are older, and we are on more regular work schedules, we have been trying to get back into the habit of doing this again. Alana and I especially enjoy some girl evening time when we can get it and with the nice weather we ride our bikes a bit more frequently. The problem we have which we know is only going to get worse, is the evening light. It's difficult to see in the dark and once we move to the country, the dirt roads are going to become more dangerous to bike ride on at night. 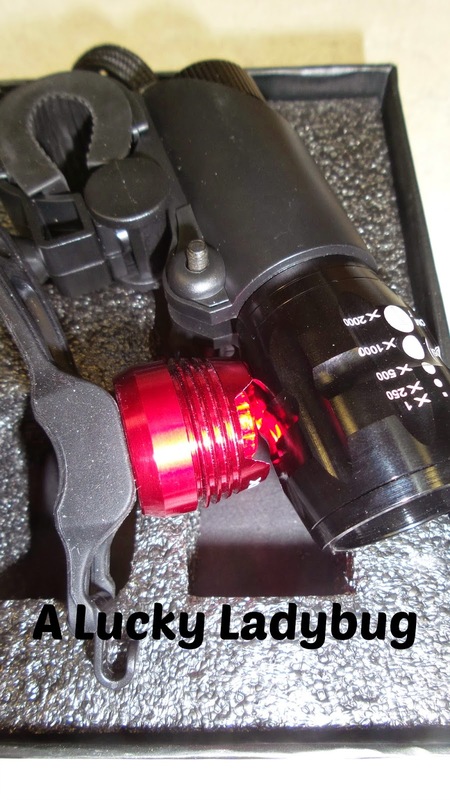 Thankfully, I was asked to review the Lumenx mountable bicycle headlight/flashlight and I could not have been more excited to try something out. 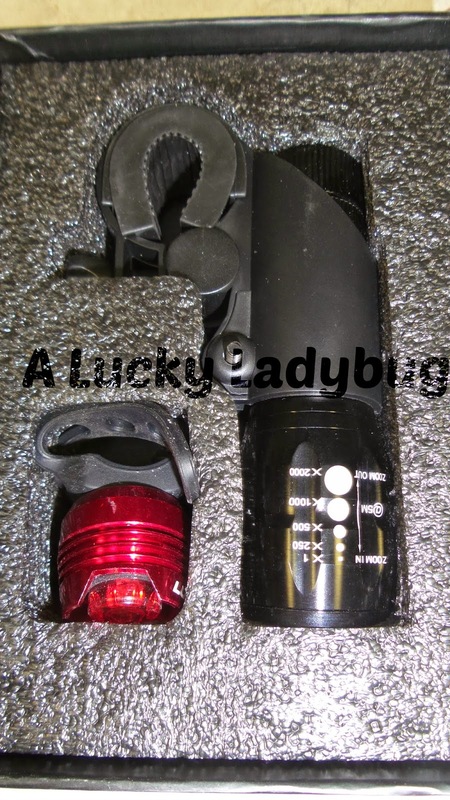 This awesome gadget "is a powerful 2-in-1 portable LED bike light that will shine up to 500 feet, can effectively light up your path every time and its LED lights are shockproof with a higher light output and life span than other competitive incandescent bulbs." I love how easy this was to toss on whatever bike we wanted AND even the boys scooters since they like taking those out. I honestly felt as if we were driving a car when using this light since it was so bright and lit the road/sidewalk up for what seemed like quite a distance! Recommendation: I think is a great tool to have for yourself or your children. Riding at night or even early morning can be so dangerous and this is an inexpensive but quality tool which will help prevent such dangers. I really see this lasting quite a while even if the kids are rough on their bikes. I plan on using it quite frequently between our family.